Ross Pearson during his visit to the FIGHTSHOP warehouse, where he took time to sign a few Sandee Official Retailer posters. Ross also presented a signed original paining by Knockout Artist George Thompson. George kindly donated the artwork to be raffled at the Fight For Heroes boxing night on Sat 24th April at the Reebok, Bolton. All proceeds will go to the Help For Heroes campaign. FIGHTSHOP are please to announce a sponsorship deal between FIGHTSHOP and two of the UKs leading up and comers in the UFC, Ross Pearson and Andre Winner. We will be providing the guys with Sandee kit and other stuff over the next year and working closely with them, their training team and management, giving as much support to the guys as possible. The following figures are based on the fighter salary information that promoters are required by US law to submit to the state athletic commissions, including the winners’ bonuses. Any undisclosed bonuses that a promoter also pays its fighters, but does not disclose to the athletic commissions (specifically, pay-per-view bonuses, fight of the night bonuses, etc. ), are not included in the figures below. *Ciesnoleviscz had to give 20% of his show money or $1,600 to Drwal for failing to make weight, which is reflected in the amounts here. The all Britsh final of The Ultimate Fighter season 9. Andre Winner vs Ross Pearson. The two Brits battle for the $100,000 UFC contract. 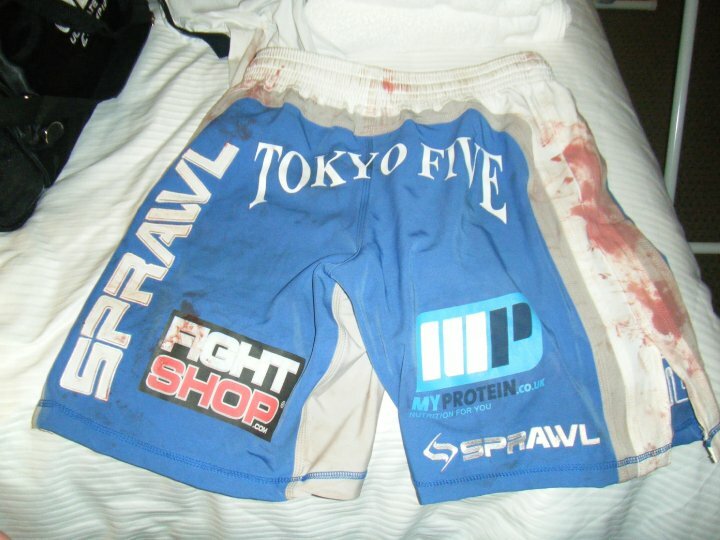 Ok, who knows the most about MMA ? My mate Dave or Dave Jackson, assistant coach on The Ultimate Fighter Season 9 for Team UK ? My mate Dave is a massive UFC fan and a bit of a UFC statto. Dave Jackson is Muay Thai coach at the Wolfslair MMA Academy and was assistant coach for Team UK on TUF 9. So who is best placed to make the accurate predictions, the fan or the expert ? Wilks impressed in his semi against, all be it an already beaten up, Frank Lester. Johnson was hurt by Nick Osipczak, he can expect more of the same from Wilks, who hits a more authority, whilst not finding it so easy to muscle him around. Well I have to say this is a hard fight to pick. If James brings his A game he can beat Demarques both on his feet and on the ground but Demarques is a very determined fighter and will be hard to beat. Lytle has a tonne of experience, granite chin (ask Paul Taylor) and has no problem slugging it out. Burns looked good in defeat against Johnson but I see Lytle’s experience giving him the victory in the second. Lytle’s experience should give him the edge in this fight and I see a late sub for him. Should be a good one this. Ross is a non stop action type of fighter while Winner is the more technical. Coming out of Dan Hardy’s camp I see Winner as being the most improved since they left the house ten weeks or so ago. Winner’s reach will give him a decisive advantage and a close decision victory. Ross and Andre is a hard pick. Both guys can beat the other on any given day. I am gonna’ flip a coin and guess that Ross may be edges it and wins on points. I don’t think Joe has been the same since his loss to BJ Penn at UFC 80. Diaz on the other hand is improving. Dangerous on the ground and unorthodox striking make him a handful for anyone. Punches in bunches from Diaz will ware Joe out and lead him to a stoppage late into the second round. Fightnub would like to thank Dave Jackson for taking a phone call on Friday evening and bothering to do this. Cheers Dave. Dave Jackson is Muay Thai coach at the Wolfslair MMA academy home of Mike Bisping, Quinton “Rampage” Jackson, Paul Kelly, Ricco Rodreguez and host of other top MMA athletes.Dave also runs his own Muay Thai gym, Warrington Thai Boxing in Warrington Cheshire and is available for private lessons (when he isn’t jetting around the world training champions). Fightnub would also like to thank Mike Bisping for taking a phone call early in the morning in Vegas (we forgot about the time difference, sorry Mike). However we decided not to go with Mike’s predictions as his name isn’t Dave and we thought the headline Dave vs Dave was catchy.